The basic rules of roulette are often defined as simple as all that you need to do is to place a bet on a number which you think it will win next. It is not possible to predict its outcome in any way, regardless of whether the game is played in a brick and mortar casino or online. In land-based casinos a physical wheel is spun by a dealer and in web-based casinos all of the online roulette games are produced by a Random Number Generator. It should be noted that with the advancement of the online casinos, presently you can play a live dealer roulette which is operated in real time by a live dealer. This makes the game almost identical to its land-based counterpart and thus, its outcome is just as random and fair. It is not possible to use a strategy to determine precisely the final result as the ball doesn’t follow any pattern. However, what you can do in order to minimize your money losses and improve your game is to use a betting system. Roulette is one of the most suitable games when it comes to applying a betting system since it doesn’t require any further actions rather than guessing the next winning number. Nowadays, you can find a number of betting systems which will help you improve your gaming experience one way or another. One of them is the Labouchere betting system which is used by hundreds of roulette enthusiasts. Even though up to the present there is no written evidence of the person who invented this betting system, the name Henry Labouchere is often linked to this matter. 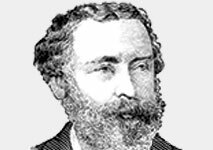 He was an English renowned public figure who was a famous writer and politician during the Victorian era. He was also well-known for his passion for roulette and he took credit for the invention of this betting system. Initially, the system was created to be used in roulette games only, however nowadays with some adjustments it can be applied in various casino games, including blackjack, baccarat and craps. The Labouchere betting system is a negative progression system. In other words – you have to increase your bet after each losing wager and decrease it after each winning wager. It aims at helping you make up for your previous losses and also generate a small profit in the process. In order to achieve this result, you are supposed to win several times as most likely one single win won’t be enough. In the gambling world, this system is often referred to as Cancellation System, Split Martingale or American Progression. In comparison to the rest of the popular negative progression betting systems, this one is considered to be much more complicated. Thus, it is not recommended for novice players as they might find it hard to apply it during the game. Even though its main principle is more complicated, this betting system is used by many gamblers all over the world due to the fact that it has proven to be quite efficient. 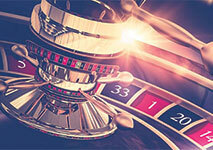 What makes this system especially suitable for roulette is the fact that initially its plan was created for outside wagers that pay even money – red/black, odd/even or high/low. The main principle on which this system is based is quite different in comparison to the rest of the betting systems of this kind. If you decide to give this betting system a try, the first thing that you are required to do is to think of a sequence of numbers and write it down. In theory, there are no limitations in terms of the numbers from which the series is composed. However, bear in mind that the simpler the sequence is, the easier you can apply the system. This string of numbers play a crucial role in the system since the amount of the potential profit you can make during the game strictly depends on it. In order to figure it out, you should simply add the value of all of the numbers in the sequence. For instance, let’s assume that your chain of numbers consists of 1-2-3-4. In this case, you have the opportunity to win a total of $10 as this is the amount that you will get when you do the maths. In order to determine the size of your bet, you are required to add the first and the last number that compose your sequence. Since we have taken the simple sequence of 1-2-3-4 as an example, in this situation your first wager is supposed to be $5. Just like in the rest of the betting systems, in the Labouchere betting system, the size of every bet is determined by the outcome of every round. In this sense, let’s assume that you have won this time in order to illustrate what you need to do. You should simply cross off the first and the last number on your list – one and four. The time when you are supposed to start from the beginning of the system depends on how many numbers you have included in your sequence. For instance, if you have decided to use 1-2-3 as a sequence and if you win, the amount of your wager should be simply $2 and there is no need to do any calculations. In case that you win once again, then you have completed the betting cycle and you should start from the beginning. As you can see, if you write down a series which consists of three numbers only, all that you need to do in order to start from the scratch is to win twice. At first glance, this system looks difficult and it usually takes more time to be perceived in comparison to other negative betting systems. However, once you grasp its main principle, it is only a matter of time to get used to it and start applying it without much thinking. Perhaps, one of the best advantages this system has is the fact that it offers roulette players the freedom to be flexible with their bets. You are in charge of determining the sequence of numbers and adjusting it accordingly throughout the game. It is possible to choose any numbers which are in a row, meaning that you can write down shorter or longer series. Also, thanks to this system, you are given the opportunity to make a profit and make up for all of your previous losses. It is not even necessary for your wins to outnumber your losses as this system has been especially created to be efficient in roulette games. The biggest drawback of every negative betting system, including the Labouchere, is the fact that you can never know when you will experience a winning streak that will help you compensate for your losses. In this sense, if the worst case scenario occurs and you happen to lose several times, the numbers you need to add every time will gradually increase. This might make following the plan harder and also, it is possible that the amount of your stakes will become quite high at some point. Whenever you use this betting system, you should always keep track of your funds and set reasonable numbers for your series.